Who knows more about everything than the government? Getting straight answers from the government, however, is another matter. In Washington DC, I was able to track down a State Department official who spoke with me on the record, detailing what the intelligence agencies knew about the location of the brass teapot. 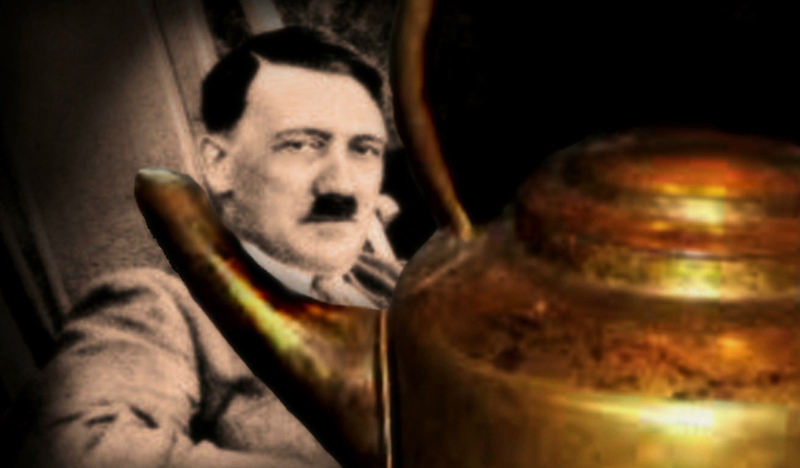 According to Colonel Tom Baker, the brass teapot was rumored to have been in the possession of Adolph Hitler at the beginning of World War II. He handed me this photo as proof. Regardless of the authenticity of the photo, the fact that Germany lost the war indicates the teapot may have slipped from Hitler’s grasp at some point during the battles which raged across Europe. Where could it have gone? 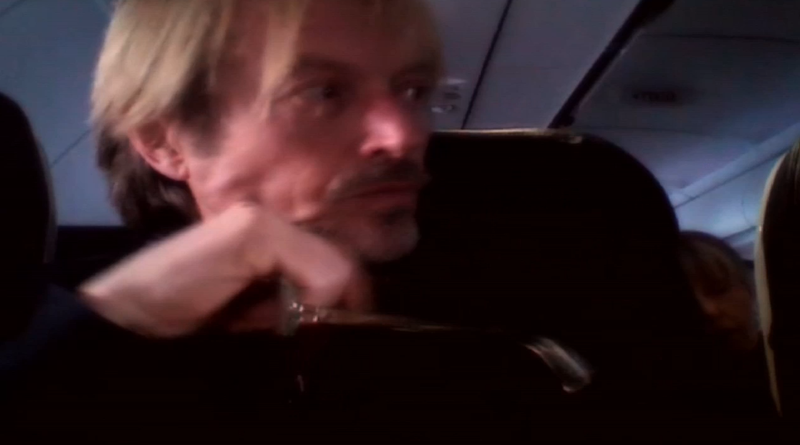 Colonel Baker’s explanation, though plausible, is not the whole story. It is the official version. Follow this link to an excerpt from the recorded interview. Searching for a kettle in a LA shack, I traveled to Los Angeles in search of the missing brass teapot. How can you find anything in this vast city? I was searching for leads to a missing relic with no tangible proof that it had ever existed. Scientists and archaeologists have been no help. Perhaps a bonafide Southern California Spiritualist could provide some answers. After all, the source of the teapot’s power was borne of a spiritual cataclysm. Divining the location of the legendary lost relic just might work. I was relieved to meet with Donna, who granted me a video taped interview. This is it. I’m onto my new documentary film project with driven purpose. Searching for the truth among lies, with regard to the legend of the brass teapot, is my new challenge. From the Pacific NW, I make a side trip to Los Angeles after receiving a promising lead from my researchers. We have arranged for an interview with a psychic to help us discern a path where no clear evidence for the existence of the brass teapot exists. I prefer hard proven facts, but when following a trail which is decades and even centuries cold – what else can I do? And where, but in Southern California, would I be able to find a present-day spiritualist who can help with a mystery locked in the past? I was about to have my faith tested. Film is a flimsy record of events. Camera placement, angles of view and above all, editing, can change or distort the meaning of reality. What we are left with, is a very subjective version of what happened – that which we want to call the truth. Closer to the facts, perhaps, is archaeology. Broken shards of pottery reassembled, or long lost metal trinkets and urns, excavated from ancient ruins give a better picture of the life and times of the people who produced them. It has been said that pottery is the hand maiden of civilization, but can it tell a false story as well, cast on the wheel of time? What about the powers of alchemy inherent in these objects? Indeed, creation is a magical act. Films are our subconscious brought to life, a dream life more vivid than dreams themselves. Yet, powerful though they may be, we often don’t trust them to tell the truth and look elsewhere for the facts. Stories take on the shape of legend and myth when they are passed from generation to generation. 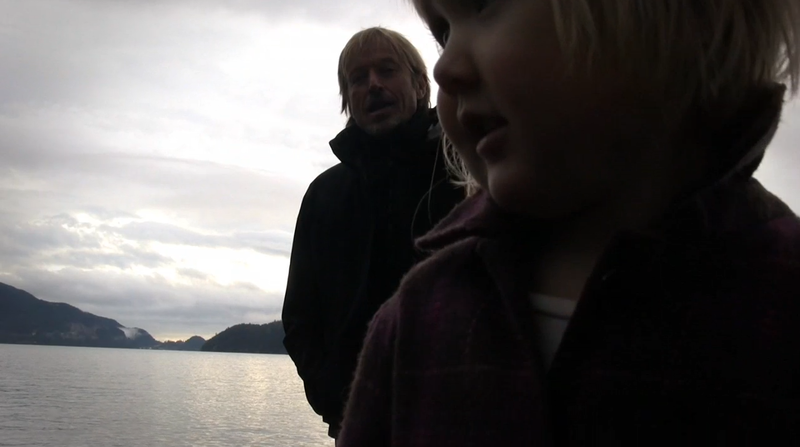 In this first installment of my new documentary film regarding the search for the brass teapot, I relate the story to my grand daughter in an effort to keep the oral history alive and to build my resolve for the task I have set out to accomplish. America’s first celebrated documentary filmmaker from Michigan, Robert Flaherty, made the film, Nanook of the North, in 1921. The film was made twice. 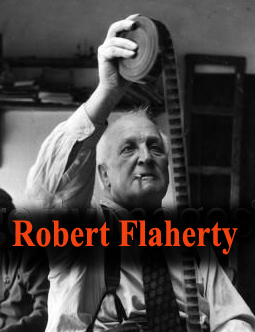 Smoking while working in the editing room, an ash from Flaherty’s cigarette ignited the nitrate stock and 70,000 feet of film went up in flames. The desperate man’s hands were severely burned in trying to save it. Undeterred, he returned to the Inuit territories of Canada and began again. The documentary film which resulted was heralded as an authentic examination of the Eskimo way of life, but by the time Nanook of the North made it to the cinemas, the Eskimo way of life was already going south. 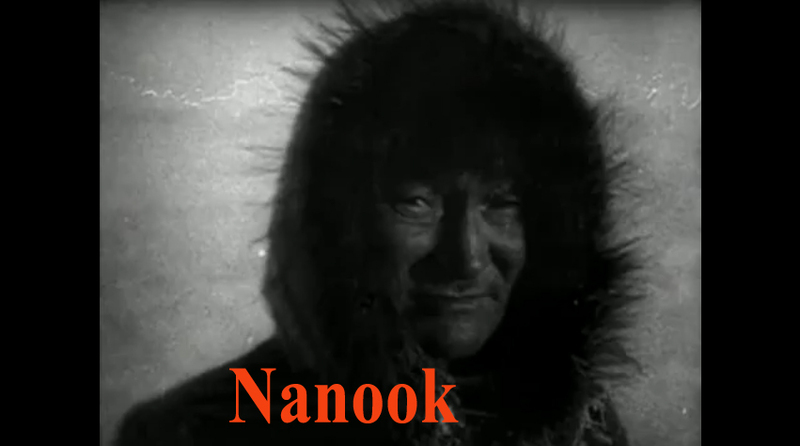 Depicted as a harpoon-wielding hunter, Nanook had begun to use a rifle as one of his tools for survival. Robert Flaherty would have none of it, and insisted that he use the harpoon for the purposes of the “documentary” film. The truth of Nanook’s existence was manipulated for the purposes of popular entertainment, masquerading as an honest portrait of a man and his time. 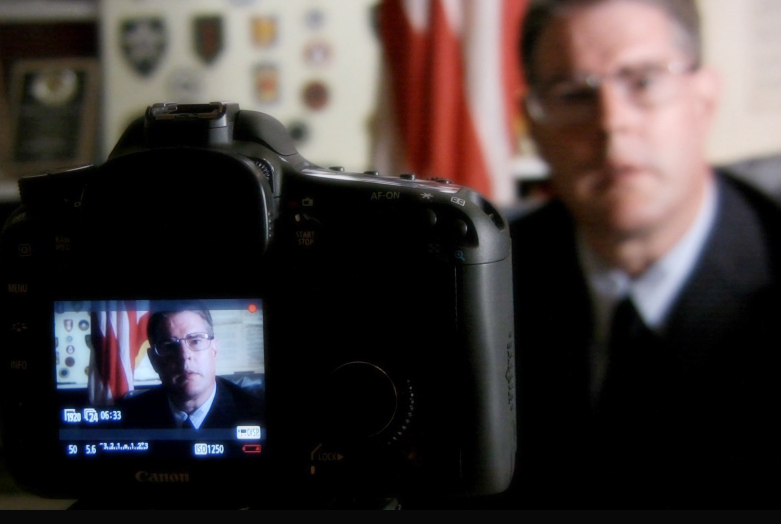 Perhaps it’s unfair to fault Flaherty for skirting the truth, after all, he referred to his films as “docufiction”. But where is the verisimilitude of reality in nonfiction filmmaking? Is it all just a ruse designed to deceive? I am going back even earlier in history for my inspiration and search for truth in film, citing one of the very first films ever made, Exiting the Factory. Made in 1895 by the Lumiere brothers in France, this film is an honest look at workers as they file out of their workplace following a hard day on the job. Nothing is manipulated. 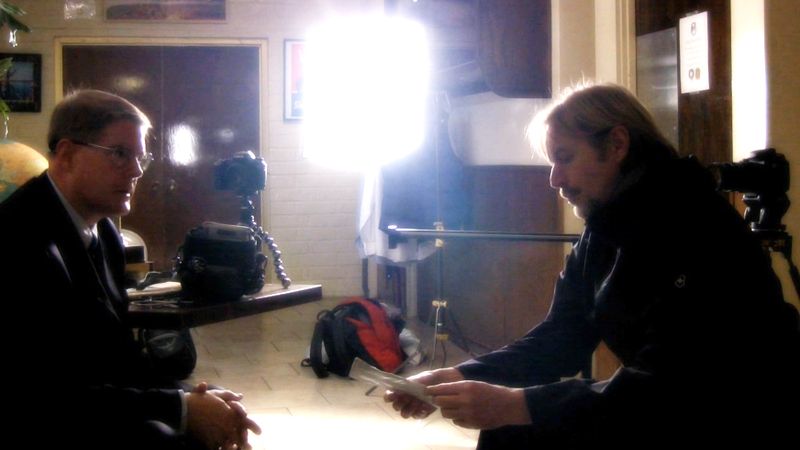 The camera stands as a silent witness while one of the brothers, Auguste or Louis, hand-cranks their machine. When I purchased a new camera three years ago, I placed it on a tripod and pressed the record button to document a scene in my studio. I stepped in front of the camera and remotely triggered it to begin. At the end of a long day spent editing, this was my own version of Exiting the Factory. As with Robert Flaherty, I was smoking also. However, in this case, nothing caught fire, only my imagination which blazed with the possibilities of new and honest work. The camera would become my microscope, telescope, and more. In the maze of circuitry hidden behind the glass lens was a tabula rasa which I intended to inscribe with the truth – at least my own version of it. This is a short video documentary of a train trip taken when I left LA last year. 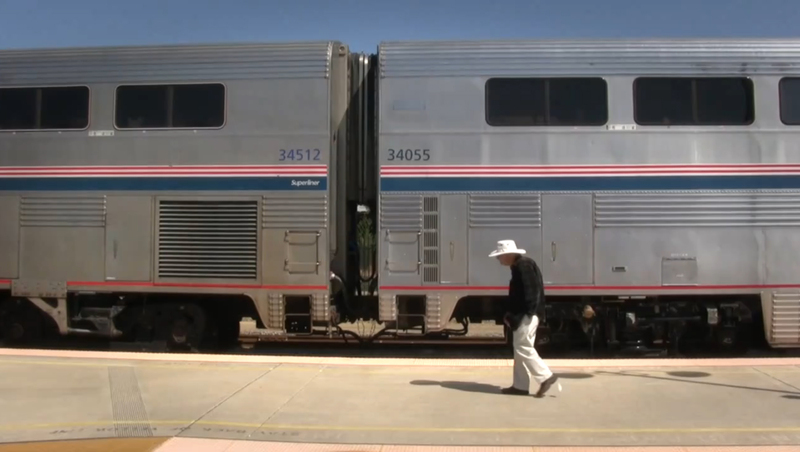 Traveling by rail is a meditative way to go – the journey becomes the destination.